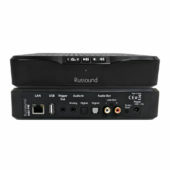 The BTC-1X Bluetooth® module is a transceiver that lets you wirelessly connect a portable media player, smartphone, or other Bluetooth equipped device to any Russound MCA-Series controller. 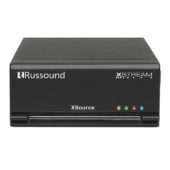 It transmits balanced line audio to the XStream Bluetooth input. The BTC-1X also supports the aptX codec, providing enhanced audio quality that is far superior to standard Bluetooth audio. 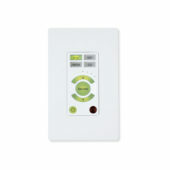 Russound’s CA4-KP Keypad gives you simple control of your CA4 multiroom system. It includes 20 source labels to easily identify each system source, from a CD player to an iPod. 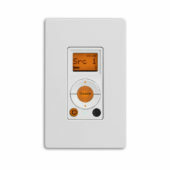 The keypad also indicates volume and receives IR commands from a remote control. 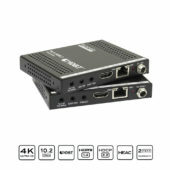 The CA4 Wall port allows for easy connection of a CA4 Multiroom Controller to the speaker and control wiring of the four system zones. 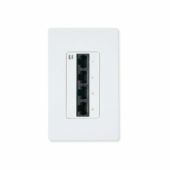 Four dedicated CAT-5E cables connect the CA4 and Wall port, allowing for clean wire management in a neat, orderly bundle. 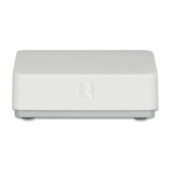 Russound’s KP6 Keypad gives you simple control of your CAA66 multiroom system. It includes 20 source labels to easily identify each system source, from a CD player to an iPod. 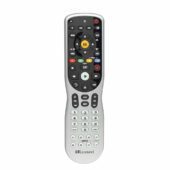 The keypad also indicates volume and receives IR commands from a remote control. The KPL Keypad controls a CAS44 or CAA66 multiroom system. Its five-character display aids in source selection, offering over 100 source labels to name your sources. The display also indicates volume and system status. 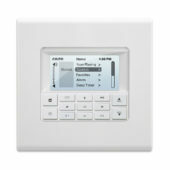 Russound’s KPSC is the perfect optional add-on keypad for a CAA66 multiroom system. 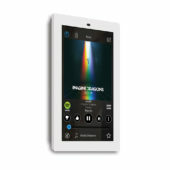 It adds direct numeric selection and additional functionality, such as, play, pause, track up and down. 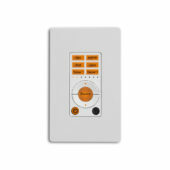 The KPSC links to a KP6 or KPL keypad to fit neatly in a double-gang wall plate. 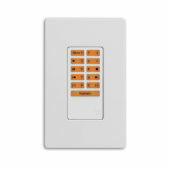 The SLK-1 Single Line Keypad is an in-wall Decora® style single-gang keypad designed for individual zone control of any zone of an MCA-Series controller. The SLK-1 uses a five character LCD to display the current source, volume level and system status. 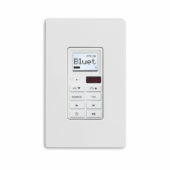 Designed for basic zone control, its white backlit, soft-touch buttons allow for easy access to volume, power and source selection as well as a zone specific favorite and simple source transport option – play/pause, previous and next. The USRC is designed to work with all of Russound’s multi-zone audio systems including the MCA-Series, C-Series, CAA66, CA4 and all A-BUS systems. 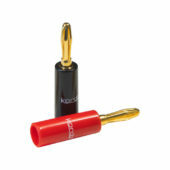 It controls any of the programmed system sources and up to three local devices such as a TV or home theater receiver.